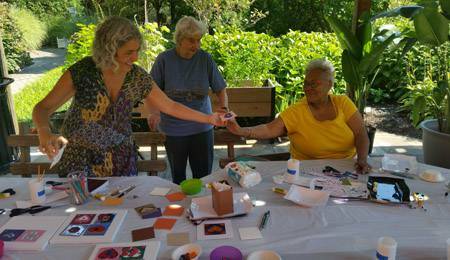 Retirement provides a lot of new opportunities for seniors. It's a time to make new friends, take up new hobbies and partake in new experiences. Moving to a senior living community presents opportunities to engage in all three of those opportunities and much more. Senior living communities offer a great deal for anyone looking to enjoy their retirement in peace. Perhaps you're looking for a senior living community in Essex County NJ. You don't have to look far for one. Life is Good at First Montclair House where we offer affordable senior living and other accommodations to make your stay with us both fun and relaxing. At First Montclair House, we hold 131 HUD subsidized apartments including 19 efficiency/studio apartments, 107 one-bedroom and 5 two-bedroom apartments. Our facility is designed with you in mind. Although you have your choices in senior housing, here's why our senior living community in Essex County NJ is a wonderful place for you. For those social butterflies, you'll meet more people to chat and socialize with. You can connect with people who have the same interests as your own. It's also nice to not be surrounded by rowdy youngsters when you want to enjoy some quiet time. When you come to First Montclair House, you don't have to stress about having to constantly call someone to get your repairs done. We have a full-time management and maintenance staff ready to assist you in any way. Of course when looking for a senior living community in Essex County NJ, you want a place where you can feel safe. With First Montclair House, our staff works hard to ensure that you're not only comfortable but you are safe and enjoying a good quality of life. With our senior living community, you can expect nothing less than absolute care from our staff. We offer many amenities depending on our residents programs. Amenities including Medicaid, monthly blood pressure screenings, home visits from a local podiatrist and more. For any one suffering from disabilities we have wheelchair accessible restrooms, elevators optimized to handle all manners of disabilities, food stamps, PAAD/Lifeline and more. At First Montclair House you'll be saying 'Life is Good!' Come explore our senior living community today! For more information about our senior living community in Essex County NJ or to request an application, contact First Montclair House at (973)-746-0895. 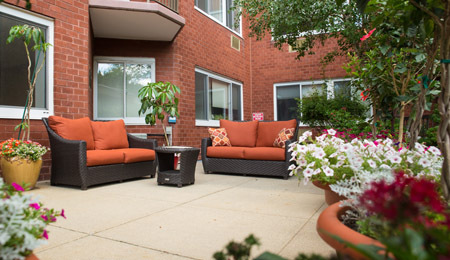 First Montclair House - Your lively Senior Living Community in Essex County NJ.